Meet Monarch butterfly SHU 214. 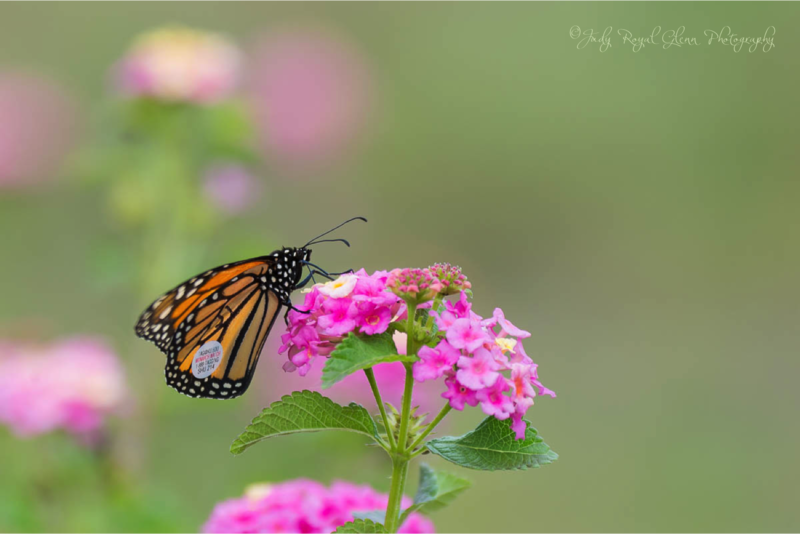 Recently, at The State Botanical Garden of Georgia, Monarch butterflies were given a special tag on their wings to help track the butterflies during their migration to Mexico. 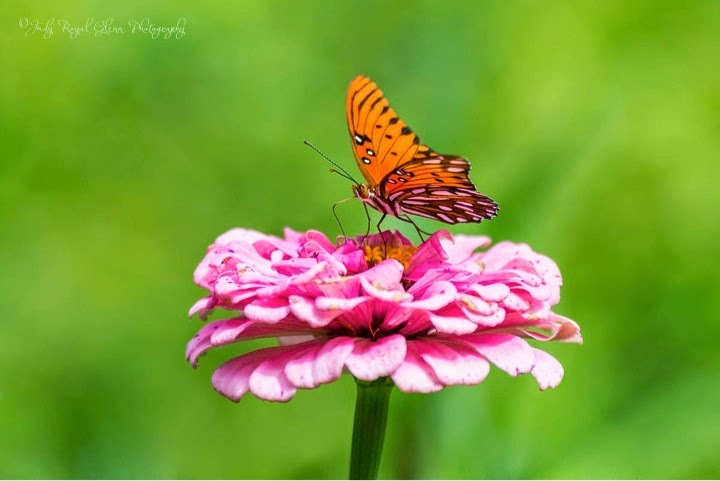 Much data can be retrieved from tracking the butterflies such as their survival rate, weather influences on their migration, and the pathways they take during migration. The tag contains three letters and three numbers and is printed with waterproof ink on polypropylene sheets. A special 3M adhesive is used to adhere the tag on the butterfly’s wing. Click here for more information on tagging Monarch butterflies. Click for my here for my story on Guidepost.org about Monarch butterflies and their migration to Mexico. 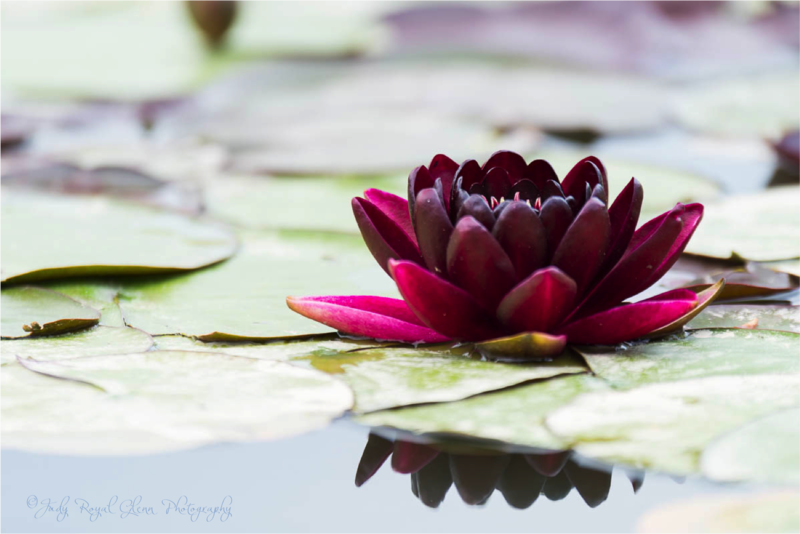 I enjoy looking at and photographing water lily flowers. They are beautiful! The added bonus of photographing them is the reflection of the flower on the water. 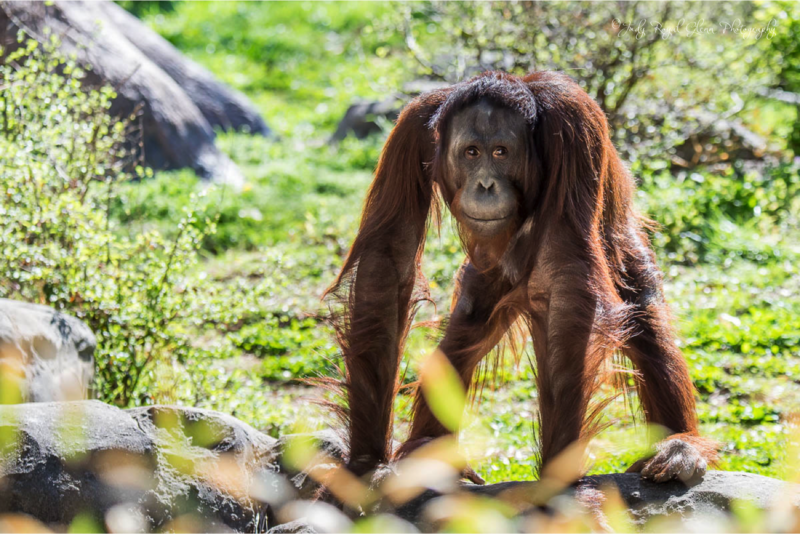 As I was editing this photo, I was mesmerized as I looked into this orangutan's eyes. Our eyes met that day, but I was not touched then like I am now. What was the orangutan thinking? Was he happy or sad? I can't really describe in words the effect of his stare. 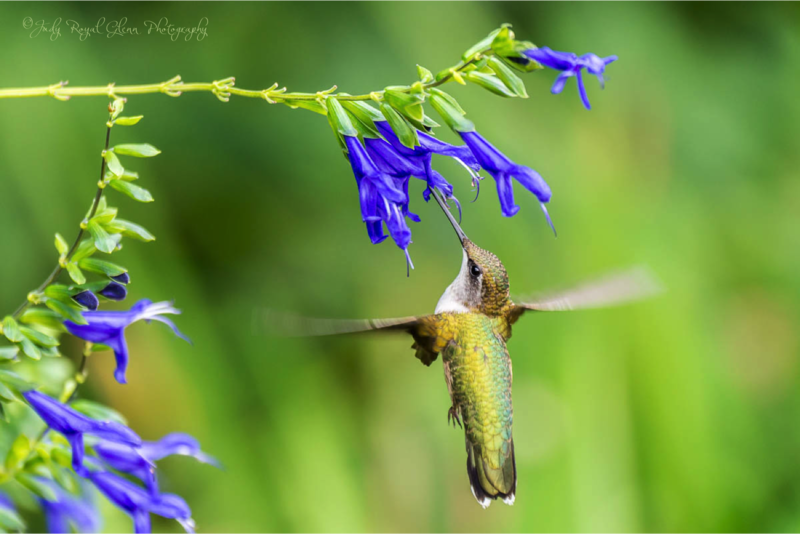 The hummingbirds at Callaway Gardens and The State Botanical Garden of Georgia love the purple and blue salvia/sage. When I was at Callaway Gardens, the hummingbirds went crazy for this flower. If you are looking to plant a flower to attract hummingbirds, you can't go wrong with this hummingbird magnet! Butterflies are difficult for me at times to photograph. I want everything to look perfect. Of course the subject must be just right with nice looking wing placement, but I also like a clear view of the butterflies' head. A lot of times they have their head down into the flower feeding. A clear non-cluttered background is also very important to me. I love when I can single out the butterfly on one flower. This rarely happens for me though. So, I am pleased with this perfect placement. I usually don't post many videos taken on my cell phone, but I could not resist posting this one as my blog post today. Notice how plump this little guy is. The hummingbirds go on a feeding frenzy called hyperphagia and may double their body weight to prepare for their long trip to Central America and Mexico. This video was taken at marker #5 on the Hummingbird Trail at The State Botanical Garden of Georgia. Sorry, I wish Blogger would not compress the video so much so the video would be more clear. Here is a link to my Google + where the video is not compressed: click here. The hummingbirds are familiar with my presence and become very trusting of me. I photographed this one today about seven feet away. 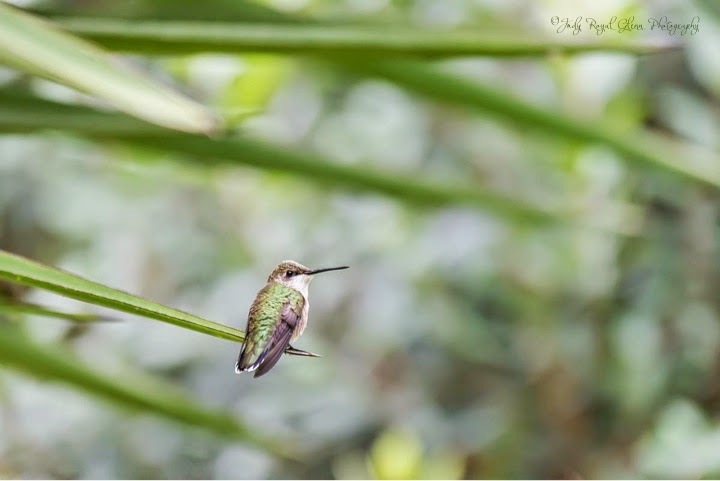 This hummer is sitting on the Yucca plant at marker #5 on the Hummingbird Trail at The State Botanical Garden of Georgia. A hummingbird fed about 12 inches from me today! The count down has begun....only about two weeks left before they leave The State Botanical Garden of Georgia.